Lets just take a moment to appreciate how gorgeous these shoes actually are. I just hope they feel good on the feet! Who doesn't love a super high waisted jean? Especially in this print. I'm currently in love with this style of coat and I think it would compliment the figure without looking too baggy. It would also be perfect for everyday wear or to pop over your outfit on a night out. It's either this one or the pale blue one in Zara... decisions! 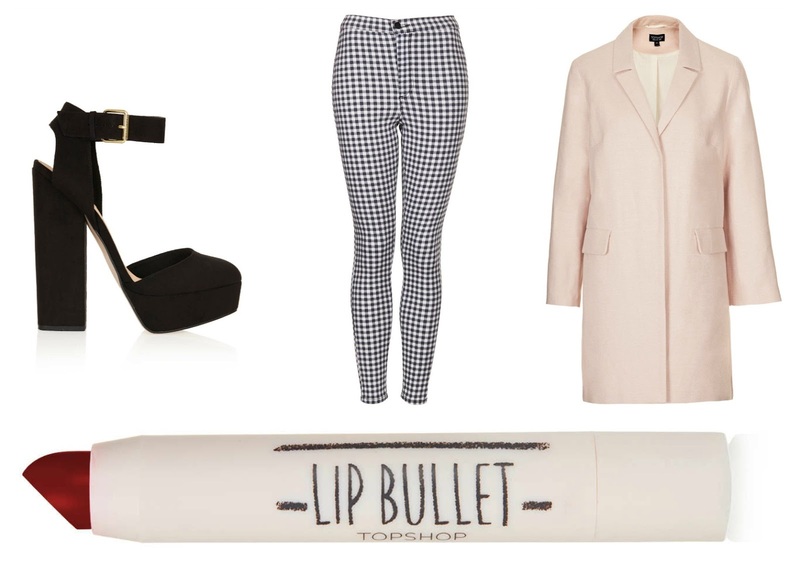 So there we have my current Topshop lust list. Not everything I want is on here as I'd have to make around 20 collage's! no way! I'm only 5ft 2 :o haha! Oooo love the jeans, Joni & Leigh jeans are my fave. Babes don't worry about turning 23 that's nothing compared to my 25 this year WAHHHH. Love the coat, I've been contemplating getting one for a while now, either that or a white zara one.. hmmm.